As a lawyer who works with accident cases day in and day out, I am becoming more and more concerned that honest, hardworking Americans are being taken advantage of by uncaring insurance companies and even by our legal system. Insurance companies are making a fortune by low-balling injured people, asserting frivolous defenses, questioning and denying reasonable medical expenses, stonewalling and other dubious claims practices. My name is Ron Laba. I am an attorney who has focused on accidents and injuries for nearly 30 years. Today, more than ever, I am frustrated about how hard it is for people to get straight answers to their questions during this stressful time. If you (or someone you care about) have been recently in an accident, chances are you are worrying about what you should do next. You may also be feeling angry or frustrated, or wondering if there is a reasonable way out of this mess. You may be asking, “Can I trust my insurance company to take care of me? How do I deal with the other insurance companies involved? Will I be forced to see the other insurance company’s doctor right after the accident? Will my insurance company give me what I deserve for the damage to my car?” IF ANY OF THESE QUESTIONS HAVE OCCURRED TO YOU, THEN KEEP READING. If you’ve been in an accident, there are some things that you absolutely must know. That’s one reason why I created this website! Things are so complicated and such a hassle these days, that many people just give up! It is my hope that information in this site details some of the critical things you need to know to get what you deserve under the law. It is my genuine hope that this information will help you learn the important things you should – and should NOT do – after being involved in an accident. First of all, if you (or a family member or friend) have been hurt, let me express my sincerest sympathy and best wishes for a complete recovery. 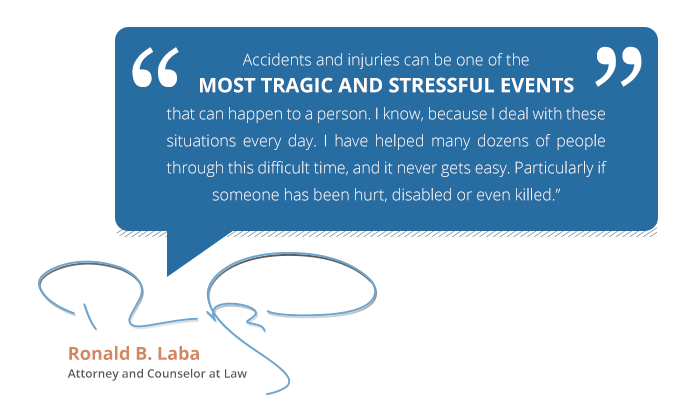 Accidents and injuries can be one of the most tragic and stressful events that can happen to a person. I know, because I deal with these situations every day. I have helped many dozens of people through this difficult time, and it never gets easy. Particularly if someone has been hurt, disabled or even killed. With recent changes in the law and with the way insurance companies are handling claims, I am now concerned that you may not get the help you really need! The last thing you want is to be taken advantage of during this difficult time. What most people really want to know is: What should I do next? Don’t let anyone push you, force you, or threaten you to sign any document or try to intimidate you into making a hasty decision. This is very common with insurance companies, and you may really regret your decision later. Here’s why. The American Bar Association journal published an article reporting that Allstate Insurance Co. has started a new program for their claims adjusters. Under this program, adjusters are encouraged to do “whatever they can” to get the victims before they hire lawyers. This includes monitoring police radio and visiting accident scenes! Another common insurance company strategy is to discourage claimants from getting representation and force them to “walk away” with a small first-time offer. Why do you think they are doing this? I’ll give you a hint – it’s NOT for YOUR benefit! The answer is very simple. In a 1994 study, the Insurance Research Council found that injured people using lawyers received OVER TWICE AS MUCH MONEY as those without lawyers. And this is AFTER paying the lawyer’s fees! Do you think the insurance companies want you to hire a lawyer when they know they will end up having to pay you twice as much; as well as paying for your attorney? No way! Here’s a story from one of my own clients that shows just how true this is … Jim is a roofer. Well, yes, you can guess what happened. One day at work he slipped and fell off a roof and injured his shoulder. Jim was going to need minor surgery to get the shoulder damage repaired. This is one of the hazards of his job, but this is just the beginning of the story. You see, Jim was scheduled to have surgery several months later, but a month before the surgery he was in a car accident. Unfortunately, the accident caused more damage to the already injured shoulder which now required him to have more extensive surgery with a guarded prognosis. Jim had to go ahead with the surgery to restore the use of his arm, but when it came time for Jim’s compensation – the insurance company offered him only $500. They said that he wasn’t eligible for additional coverage because of the previous injury due to his fall! Now does this seem fair to you? It sure doesn’t to me! The insurance company was pressuring him to accept their offer of $500, saying that was better than nothing – which is what they really deserved. Well, to make a long story short, what they were pressuring him to accept was an INSULT! We knew it and so did the insurance company, but Jim wasn’t really sure, and he didn’t know what to do. What Jim didn’t know was that ANYONE WITH A PRIOR MEDICAL HISTORY CAN BE A TARGET FOR INSURANCE COMPANIES! They will claim your injuries or problems were already there! That’s why I work with accident and medical experts I can rely on to help me demonstrate to the insurance companies, (and the courts if I have to) what really happened. To Jim’s complete surprise, he received more than FIFTY TIMES THE ORIGINAL OFFER! Needless to say, the insurance company would rather I had not come to help Jim. Please remember this – an insurance company increases profits by reducing the amount of money they pay out in claims. This was exactly what was happening in Jim’s case. Each year, thousands of people NEVER TAKE ANY ACTION to claim the compensation that they are rightfully entitled to. This isn’t because they don’t want that compensation. Of course they do! It’s just because they don’t know what to do – and as a result – don’t do anything. They simply take the money that’s offered because they figured that’s all they could get. Most folks don’t get help because they get bad advice from insurance companies, or are afraid, intimidated or confused. Don’t let that happen to you. In this day and age, we have found that doing nothing is one of the worst things you can do. To help you figure out what to do next, here are FIVE SECRETS I’ve discovered that I’d like to share with you. I believe these may make a big difference in the final handling of your accident and injuries. These valuable secrets are things the big companies hope you’ll never do!